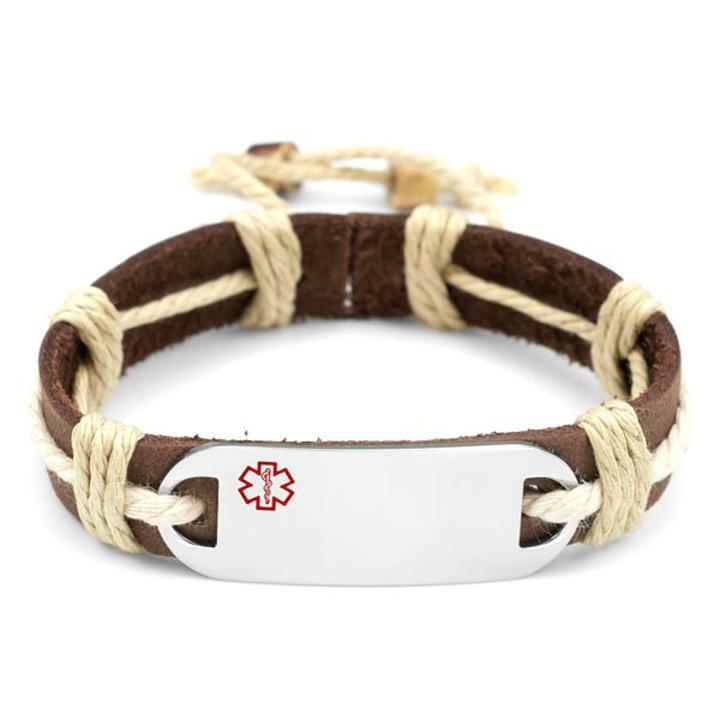 This leather dark brown and natural hemp medical ID alert bracelet adjusts from 6 1/2 - 9 inches. Great for men and women teen boys and girls too. The medical Plate is exposed on back giving the option of engraving front and back with medical information. The plate is 316L surgical stainless steel. This bracelet is not waterproof. Wrist size should be approximately the same as stated length of bracelet.